There’s this societal belief that plus size = bad, lazy, unworthy. What’s worse, many plus size people have internalized this systemic view of larger individuals so they feel this way about themselves. While it’s truly awful, the good news is we have the power to change this. When we talk about things society has labeled taboo, we can transform the conversation. 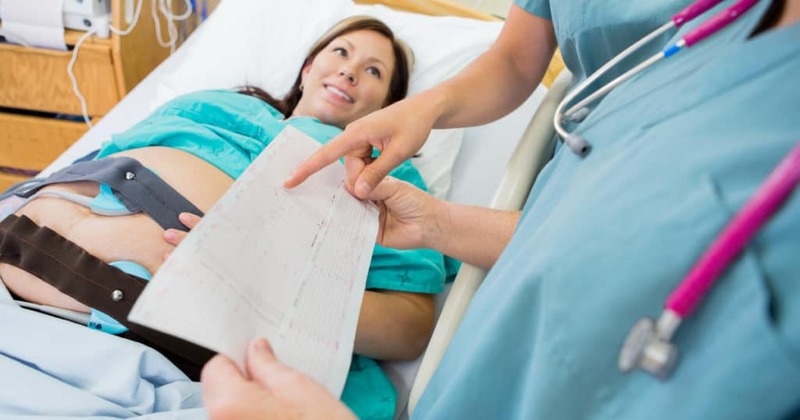 Statistically speaking, the majority of people who are trying to conceive or pregnant currently in the United States have a classification of overweight or obese. It’s clearly time to normalize plus size pregnancy! If you’re plus size and pregnant, you can’t simply open a pregnancy magazine and find images of people who look like you. Plus size pregnancy has not been normalized in the media at all. Television shows which feature plus size pregnancy, paint a picture that is unlike the reality most people experience. Shows like I Didn’t Know I Was Pregnant portray women of size as being entirely out of touch with their bodies. They depict these women as not able to care well-enough for themselves to even know they were expecting a child. Further, these television shows validate a misconception that plus size people will automatically experience a high-risk pregnancy. These messages in the media sometimes result in well-meaning loved ones making hurtful comments. They can also lead an individual to feel as if she can’t become a mother because of her size. If we can work to normalize plus size pregnancy, then it won’t be so stigmatized. People will feel supported and empowered. Uplifting evidence-based resources rather than messages of shame and blame can become the norm. I truly believe this shift in perception will result in healthier outcomes for both mothers and babies. Here are four ways to help normalize plus size pregnancy and how I’ll support you on this path. Healthcare is essential, so it’s easy to forget that we’re paying providers for their services. Many of us are spending a great deal of money monthly via insurance fees and deductibles. In what other service industry do you spend thousands annually to be treated poorly and accept it as the status quo? NONE! You owe it to yourself to connect with a care provider who doesn’t view you as only a number on the scale. You deserve someone who will look at your whole health picture and support you along your conception and pregnancy journey. If you’re struggling to find a size friendly care provider, you can access the My Size Friendly Care Provider’s Guide for free! Since pregnancy magazines have yet to represent us, we need to feature our own photos everywhere we can! From selfies to professional maternity photos – just take pictures! While I’ll sure encourage you to share these images via social media, you are by no means obligated to do so. What’s most important is that you capture this momentous moment in your life! Consider using the hashtag #plusmommy on Instagram for an opportunity to be featured on the Plus Mommy Instagram feed. Part of normalizing plus size pregnancy is telling our birth stories, and I firmly believe that every plus size birth story matters! Even if things didn’t go as planned or you did experience challenges or complications, your birth story matters. Writing your birth story can be a very healing process. Start by just writing down as much as you can recall and asking your support team to help fill in the gaps. You can also request your medical records (you might have to pay a fee for copies). When you read articles that misrepresent and shame plus size pregnant people make sure to comment and call out these media outlets. If you hear friends or loved ones shaming people of size – speak up! Let them know how that makes you feel. I know it’s not always easy to do so. Yet, by coming out of your comfort zone to correct this discriminatory, judgmental behavior, you can truly make a difference. Work on setting healthy boundaries and letting people know what is and isn’t open for discussion when it comes to your own body. Setting a limit can be as simple as stating, “Hey, I’m making some healthy changes right now and not talking about my size is one of them,” or “Could we, please talk about something more interesting than how much we weigh?”. As you raise your voice, I’ll be raising mine! For the past 7 years, I’ve worked to normalize plus size pregnancy. From writing this blog, going on public speaking tours and doing outreach to birth professionals across the globe – I’ve been hard at work. I’ve also founded and managed online communities of plus size women to help them feel less alone. 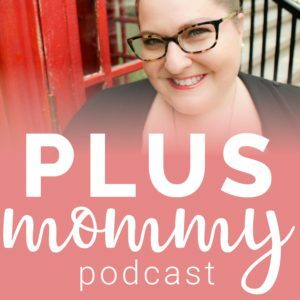 Now I’m amplifying my voice further with the Plus Mommy Podcast! This podcast explores all things plus size pregnancy, motherhood and body love. The Plus Mommy Podcast addresses common frustrations and concerns plus size women face. This includes how to raise body positive kids and sharing tips on how to feel healthy in our bodies without the focus being weight loss (because we’ve already tried every diet out there…twice). This show will help to reduce the fears many of us experience while having a plus size pregnancy, and so much more! 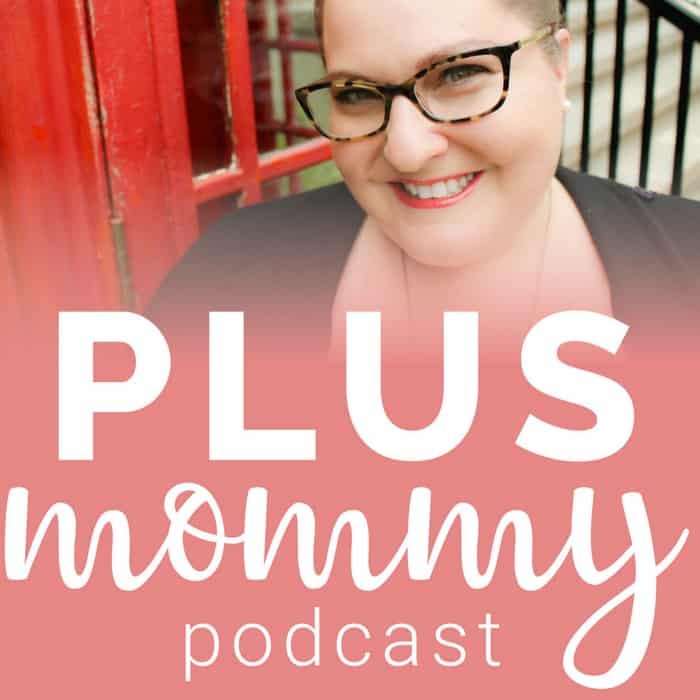 Subscribe to the Plus Mommy Podcast via iTunes or explore episodes on the new Plus Mommy website. Together we can normalize plus size pregnancy! Pregnant bellies of all shapes and sizes are worthy of documentation. Even if a bump looks like a B, has an apron or is covered in stretch marks – there is still beauty to be found.I hope every woman finds the courage to document her pregnancy and embrace her bump. Not only for the role this plays in normalizing plus size pregnancy but the ability it has to transform the way she sees her body – forever.